Are Black Friday & Cyber Monday Actually Different, Anymore? We know, we know: The idea that you are actually required to transport yourself to a physical store and interact with another human being in order to purchase your desired goods sounds utterly archaic. But alas, America's favorite consumer holiday, Black Friday, has -- for the most part -- long demanded that very thing of you. That is, until Cyber Monday (Black Friday for the World Wide Web) came along. The lauded online retail holiday only came into being in 2005, but evidently, it did not take long to solidify itself as a tradition. Now, nearly every retailer unleashes deals and discounts for the digital shopping event in addition to what they offered on Black Friday. So, in a world where it seems like you can choose whether you'd like to pursue Black Friday deals online, or within the war zone that is an actual store, what actually is the difference between Cyber Monday and Black Friday? Technically, Black Friday began in the midst of financial crisis. In the 1870s, it was common practice for retailers to mark losses in red and profits in black (yes, in actual ink). After full years marked only in red, shops would finally hit black territory on the day after Thanksgiving. For whatever reason, this was when holiday shopping truly began. Eventually, in response to the crowds, store-owners began to shell out serious deals, and the whole affair escalated into the full-fledged retail battleground it is today. History aside, it's all pretty simple: From the corporate end, it's a day of major sales for businesses to make back any money they lost during the previous year. For consumers, it's a way of claiming everything your heart desires at a serious sale price, but only if you're willing to fight for it. Oh, and gift giving, of course. There's ever-so-slightly less history to Cyber Monday, as it's essentially the digital world's response to the major consumer holiday that is Black Friday. It's the year's prime online shopping day. And while Black Friday deals may beat out Cyber Monday discounts, you'll save yourself the physical torture of arm wrestling your co-workers over television sets if you simply shop online. Cyber Monday is mostly about convenience. Initially, the two shopping holidays were much more distinct because you had a dial up connection. And it sucked. By moving the online retail occasion to Monday, digital vendors allowed consumers to access their shops via fancy high-tech internet connections at their places of work, rather than using Roadrunner back at home. This was likely not a particularly productive day in most offices. Now, it's fair to say the holiday is far more unproductive in high schools, where students online shop for rare Juul pods on their phones under their desks. How Do Black Friday and Cyber Monday Deals Differentiate? In spite of the fact that Black Friday has embraced the whole digital thing, there remain a number of deals, best known as "doorbusters," only available to folks who actually set foot in stores. Retailers will advertise these deals online, but for the serious 4K TV-blender-Amazon Alexa-winter pajamas deals, you'll actually have to show up at brick-and-mortar locations. Even come Cyber Monday, you won't find deals this good. That said, it goes both ways. There are a number of online deals available on Cyber Monday that you won't find anywhere on Black Friday. 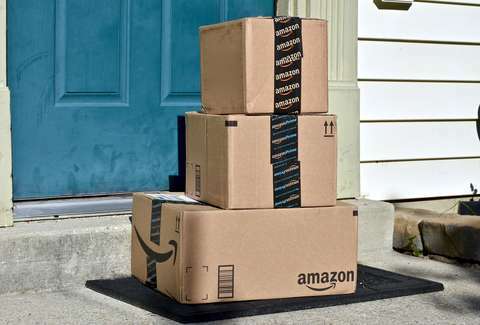 There are, of course, plenty of contemporary shops without physical storefronts at all, but beyond that, you're likely to find some seriously good shipping deals, while Black Friday shoppers going the online route are unlikely to save as much cash in the delivery department. Is Cyber Monday Better Than Black Friday? The short answer is "no." The aforementioned "doorbuster" deals are likely among the best discounts you'll find, so that's one point for Black Friday. But then again, in order to shop said deals on Black Friday, you'll have to put yourself in physical danger, and you may or may not receive death threats over a blender. There are some additional pain and suffering costs there. Those pain and suffering costs, however, may not add up to the price tag on shipping and handling. The pro and con lists for both holidays could run forever, but the bottom line is that they're different. On Black Friday, shoppers looking for electronics and household appliances will most likely hit it big. These are typically the items that are pricey to ship, and tagged with the best "doorbuster" deals. Cyber Monday, on the other hand, is far better for shoppers looking to buy clothing of any kind. The market is bigger, the deals are better, and you'll probably circumvent death threats. Regardless of what you're looking for, you should try your best to do the in-person thing on Black Friday and the online thing on Cyber Monday. Keep 'em separate. This is what the gods of Turkey Day-capitalism intended.